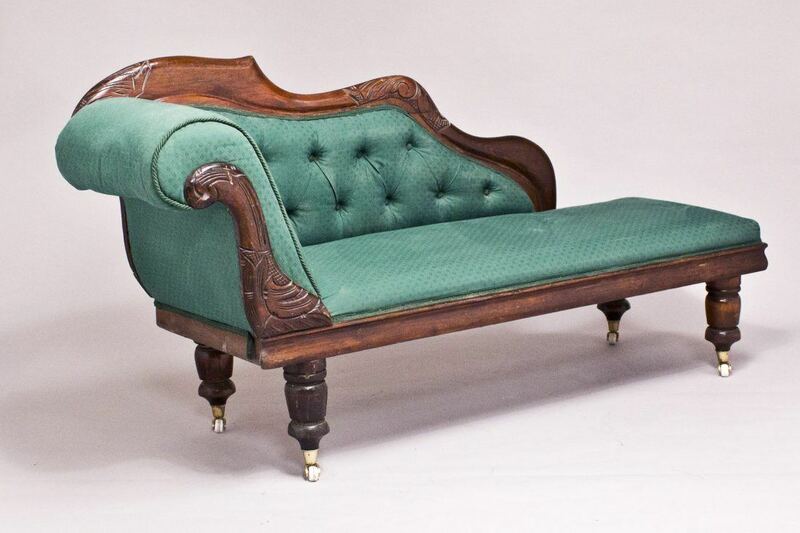 Unrestored Late 19th Century mahogany chaise. The photographs seen here show the orginal fabric it came in, it will look wonderful when fully restored. Please contact us to ask about restoration options. To ask a question about the 19th Century Chaise click here. We'll email you the answer as soon as possible. 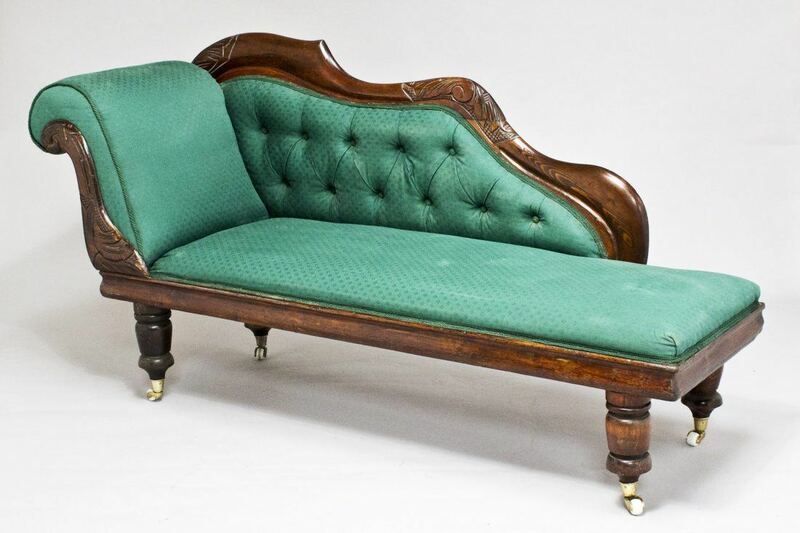 If you have a question about the 19th Century Chaise, fill in the form below and we'll email you the answer as soon as possible.